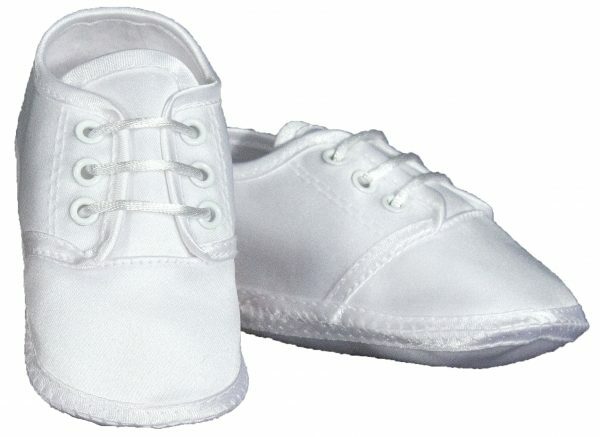 Beautifully constructed boys oxford Christening crib shoe. 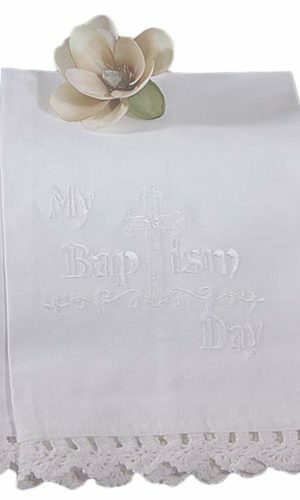 Beautifully constructed boys oxford Christening crib shoe. This elegant shoes features a matte satin oxford style with a soft cloth bottom out-sole. 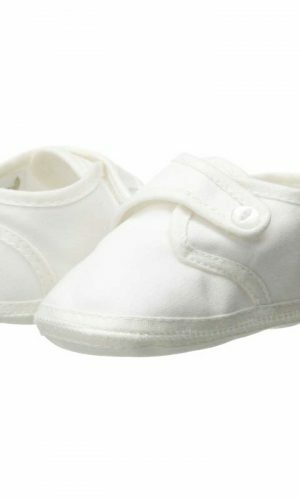 Made of a soft and light weight 100% polyester, the cotton insole helps these shoes stay comfortable on your baby’s feet all day long. 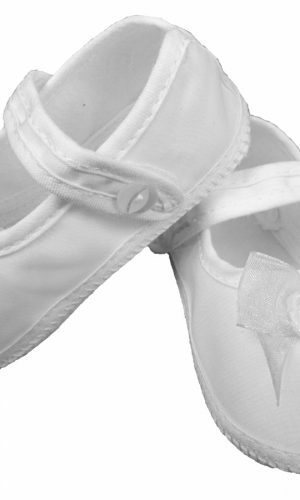 The shoe string lace tie makes putting this shoe on a breeze and helps keep them snug and on your baby’s foot! The shoe string lace tie makes putting this shoe on a breeze and helps keep them snug and on your baby’s foot!